We’re here to support your business at every level with our always-available, skilled and professional support team. We’ll help you with your specific needs and concerns, while giving you personalized customer support you won’t find anywhere. Interested in switching to Lightning Communications? Contact us to receive a customized quote detailing the benefits of utilizing our innovative products and services. When you’re ready, we’ll install your new phone system with ZERO downtime, so you can keep working. Lightning Communication has researched for your business, to find the most reliable and top quality products so that our service is the most clear and simple to use so employees can contact customer or work between desks and offices with ease. The ultimate communications tool for busy executives and professionals. With Gigabit Ethernet technology, for rapid call handling and use with accessories like a Bluetooth USB Dongle and a Wi-Fi USB Dongle. The new T4S series offers the same elegant appearance of the T4 line, but with improvements for greater interoperability and collaboration. 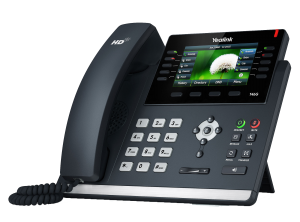 A dynamic business communications tool for superior voice communications and extended functionality. Boasts unparalleled functionality and expansibility, which comes ready for future Bluetooth, Wi-Fi and USB recording features. The new T4S series offers the same elegant appearance of the T4 line, but with improvements for greater interoperability and collaboration. 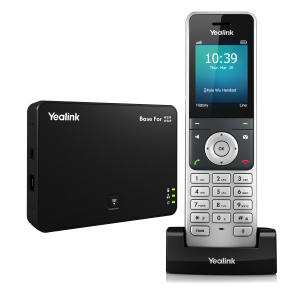 Yealink Diamond IP Conference Phone is designed for small and medium-sizedmeeting rooms. It combines unique diamond body design and offers multipleadvance features including HD voice quality, superb pickup efficiency,five-party conferences, joint calls, meeting recording and playback and more.Helps to increase meeting productivity through exceptional voicecommunications. 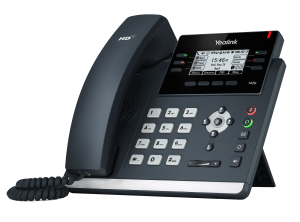 Yealink’s upgraded DECT phone is developed to enhance communication for on-the-go workers in various industries such as warehousing, catering and retailing. Featuring a big 2.4-inch color screen, an elegant industrial design, excellent battery performance and other multiple usability and phone management upgrades, ensures busy workers can enjoy a pleasant user experience and are always online.